We have extensive experience in the provision of daily office cleaning services to commercial clients throughout Hertfordshire. Millers has superb in-house employee training and constant quality control, we are committed to delivering the highest possible levels of quality and service to our clients. 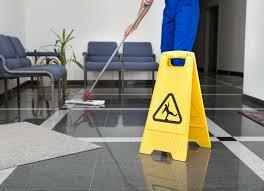 We appreciate that a lot of trust is involved in the outsourcing of office cleaning. Therefore we ensure quality control and monitoring systems as well as a staff attendance record. This way we are confident you can trust or systems and staff. We believe that it is our responsibility to manage this service on your behalf and we take these issues seriously. Training, safety and regulations: All relevant operators are training accordingly and have received the required Health and Safety briefing/information for the specific contract. Our induction programme and ongoing staff training is comprehensive, covering your , Green policies and Health and Safety relevant to cleaning in all office spaces. Staff and site supervision: we will carry out regular inspections using a site-specific format, and we will provide you with information for your reference. Carpet Cleaning: Office Carpet cleaning is very different to domestic carpet cleaning, in that we have to take extra care and attention to Health and Safety procedures. Computer equipment and power cables have to be identified and dealt with accordingly. Common walk ways and slippery surfaces need to be treated accordingly to ensure there are no incidents. Communication: you will have a direct access to our office, with a 24 hour query response time. Both parties will agree specifics ahead of the contract commencing, so everyone is clear on what and how we will work going forward. Feedback and resolution: potential site issues found by our operators will be logged and reported to you, so you can investigate appropriately. Make contact with Millers Property Services to discuss your needs and requirements, our flexible approach and robust processes will ensure you receive the best quality and value for money.